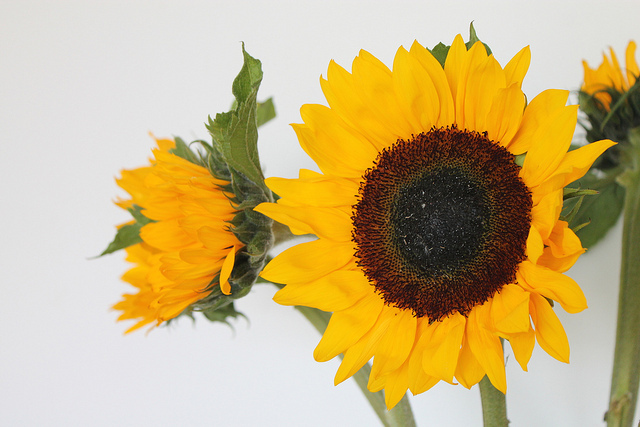 I just love these big sunflowers I bought this week, they're so sunny and cheerful. I definitely think they fit in with Lou's theme of round this week, with their huge circular centres. I've put them by my little shelf space and had to include a picture of them there, to show just how big they are. The stems look giant when magnified in the vase like that! We have grown our own sunflowers from seed this year too, though they're still looking pretty small at the moment. Hopefully we will at some point, get some big sunny flowers in our garden too. I love sunflowers, they really do make you happy. 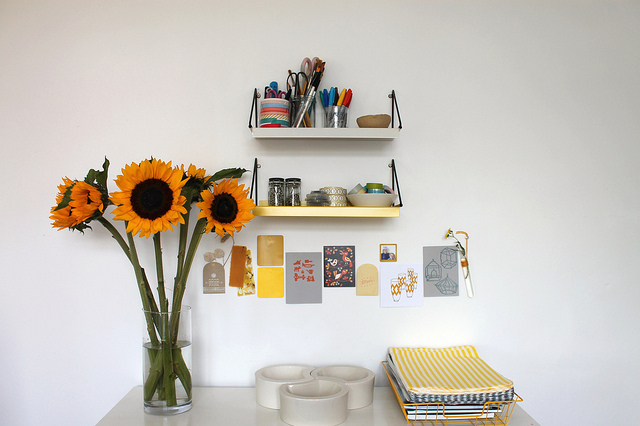 Lovely, I like your dinky shelves. Gorgeous! Sunflowers are my all time favorite and I'm looking forward to when mine begin to bloom.